A new report shows that the design of fitness equipment used in many gyms is a barrier to people with sight loss taking part in exercise. 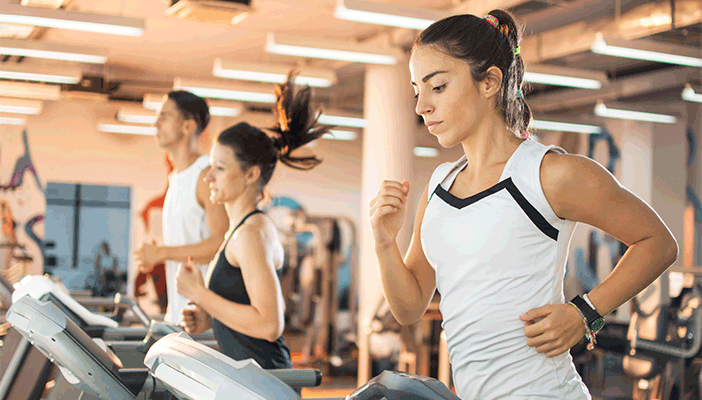 A research project has investigated the accessibility and ease of use of the controls on fitness equipment such as treadmills, exercise bikes, cross trainers and rowing machines. Carried out by consumer research charity Rica with the support of Thomas Pocklington Trust and Metro Blind Sport, the study involved user experience testing of equipment by 20 blind and partially sighted people, followed by focus groups and individual interviews. The participants said that while they enjoy the physical and mental health benefits of exercise, they find the design of fitness equipment to be a barrier. They are calling for both gym operators and equipment manufacturers to provide more accessible, inclusively designed equipment to help remove this obstacle. Rica also investigated what equipment, facilities and services gyms offer visually impaired (VI) people, trends in fitness equipment technology; and ways of working with manufacturers to develop more accessible fitness equipment. trained staff to assist visually impaired people in using equipment. They said that VI-friendly adaptations would improve going to the gym for other users as well, such as people with learning disabilities, and people with different motor or sensory skills, therefore further increasing the number of potential gym users.